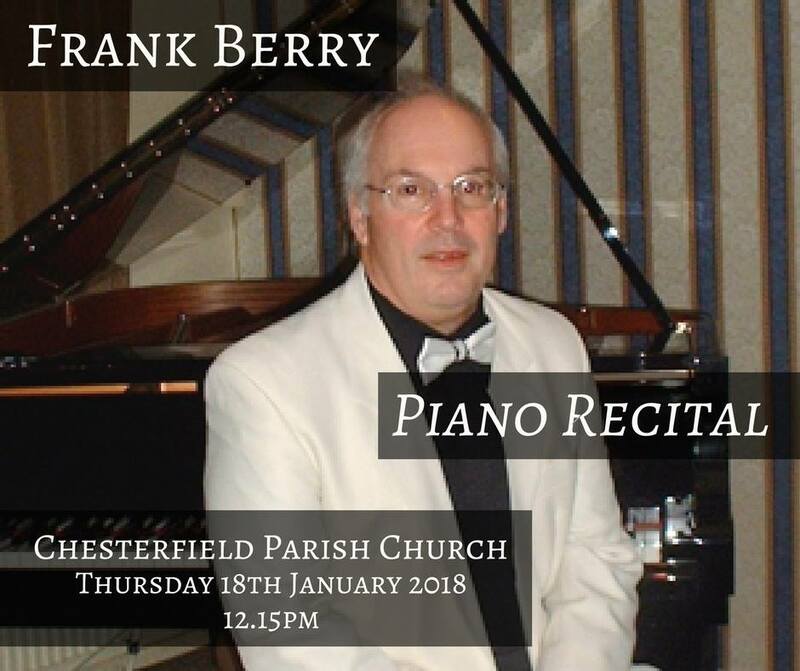 Frank Berry is this week's lunchtime recitalist at Chesterfield Parish Church. Join Frank at 12.15pm this Thursday for 45 minutes of piano music. Entry is free, with a retiring collection to support the church. All are welcome.